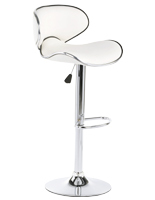 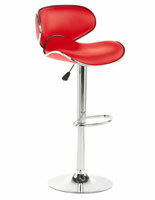 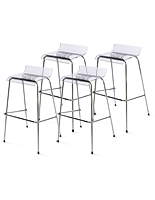 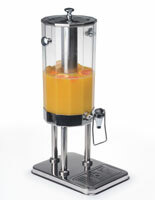 Stop scouring home goods stores and low quality online websites for your kitchen accessories. 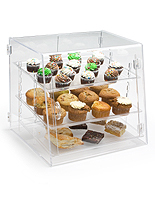 Displays2go has the top quality kitchen organizers that you've been looking for all in one place. 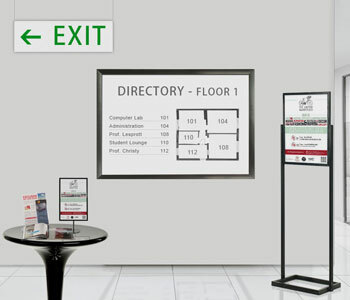 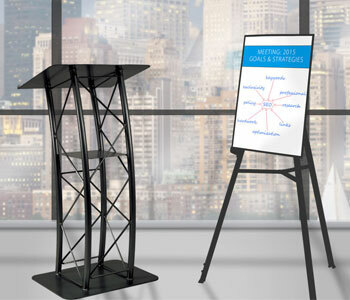 If you want to create your own custom menu board, whiteboards and chalkboards are available in many sizes. 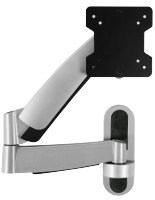 Use iPad holders to make it easy to follow baking recipes and video tutorials while you cook, or TV mounts to watch the news while making dinner. 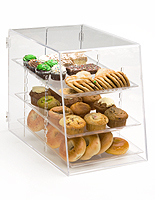 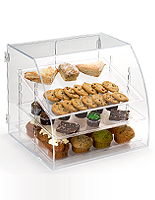 Other products we carry include plastic food covers, baked goods stands, beverage dispensers, scoop bins, and cookbook stands. 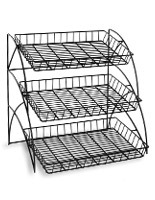 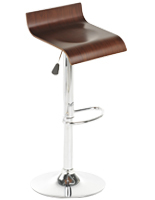 View our large inventory of kitchen and pantry displays and furniture today! 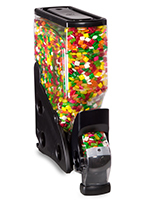 More Color & Capacity (gallons) Options Available! 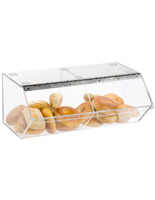 Organizing and decorating your home kitchen can be overwhelming. 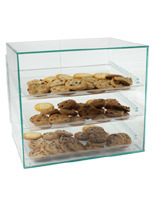 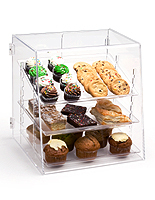 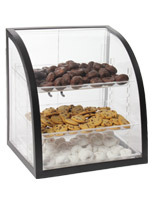 Let Displays2go help you furnish your cooking area with our food dispensers and countertop kitchen display cases. 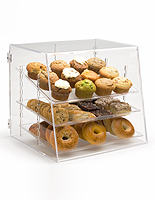 Our food covers and stands are great for storing baked goods and little treats for your family and are 100% food-grade quality. 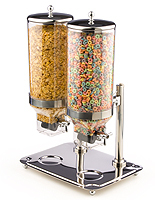 Make it easier for your children to make their breakfast with our easy-to-use dry food distributors. 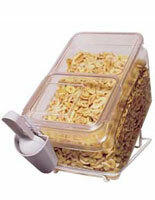 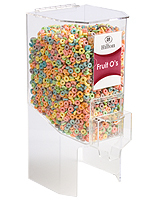 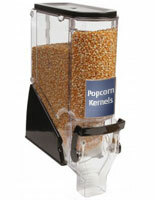 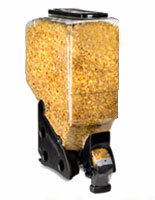 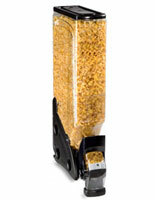 Our gravity dispensers are great for storing cereals while also keeping your food fresh. 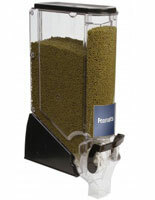 Some of the dispensers even offer portion control systems. 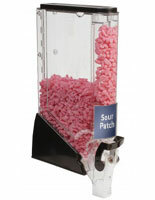 Kitchen countertop scoop bins for bite sized candy will look great in any home and will accommodate all kinds of different food. 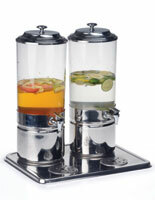 Kitchen beverage dispensers for hot or cold beverages are another popular kitchen gadget to pull out for guests and visitors. 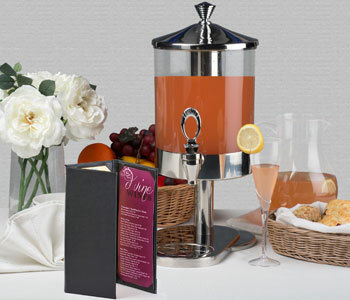 Many of our beverage pitchers, tumblers, coffee stations, and airpots ship same day for quick delivery to you. 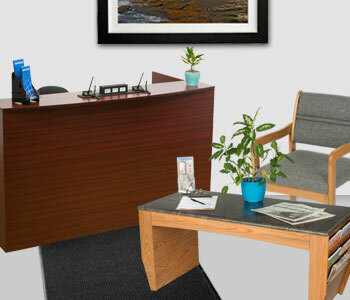 Have a coffee bar or Keurig? 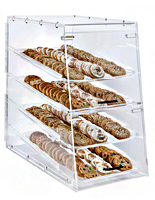 Our kitchen k-cup holders are the perfect organizational tools for you! 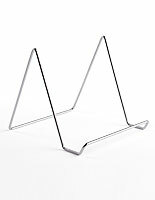 Kitchen iPad stands are great for watching how-to videos or reading recipes on your tablet while you're baking. 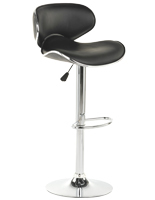 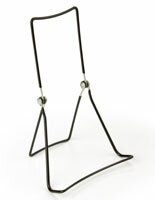 Our top-of-the-line tablet holders can be wall mounted or stand on your kitchen counter. 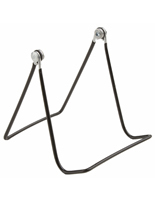 We carry kitchen iPad holders that come with many different designs, color, and features, perfect for matching your home's style. 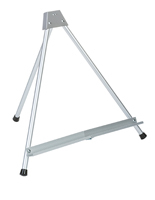 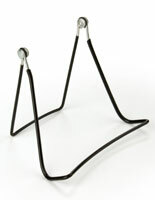 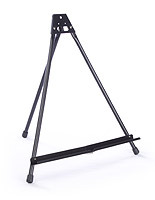 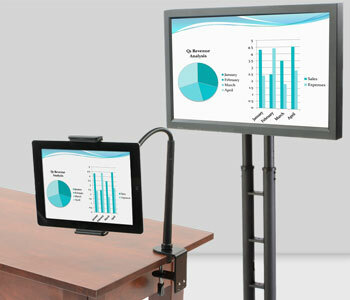 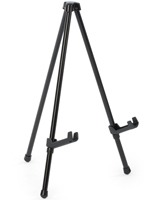 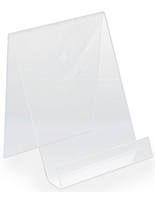 Small countertop easels are also available for holding tablets or even cook books. 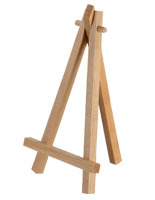 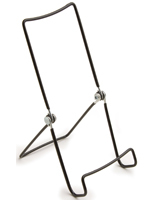 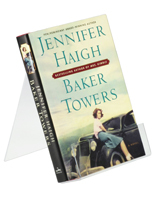 These kitchen cookbook stands come in wood, plastic, and metal and fit any kitchen décor. 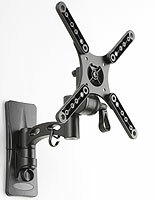 If you like watching the news or your favorite reality show while cooking, check out our many different sized kitchen TV mounts, some that attach under cabinets or cupboards. 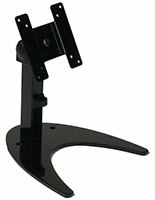 We offer wall mounted TV brackets as well as countertop mounts so that you can place your television wherever you like. 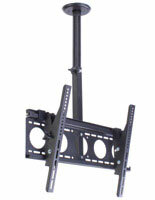 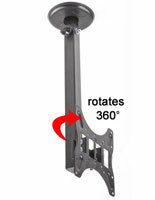 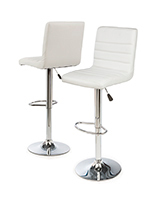 Our TV and monitor stands are capable of fitting with any VESA size and can hold TVs smaller or larger than 65". 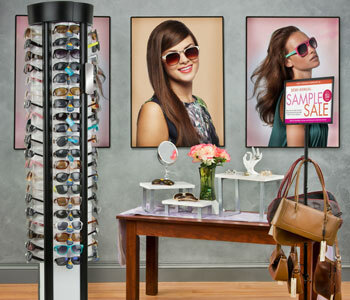 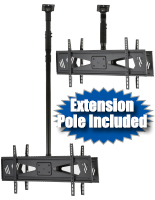 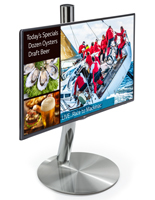 See how Displays2go beats all other competitors in the TV mount industry! 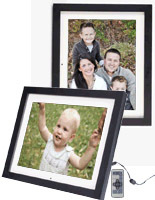 For personalizing your now-organized kitchen, our picture frames are great for showcasing your favorite family photos or even for creating your own kitchen wall arrangements. 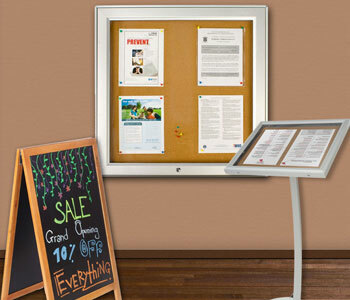 Hanging a corkboard is another great way to post favorite recipes or for leaving messages to your children or spouse. 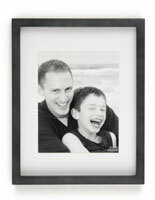 Or use a chalkboard to write shopping lists or family schedules. 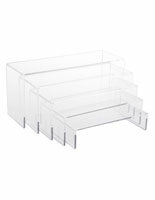 Whatever you're looking to decorate your home, come to Displays2go first to find the best organization supplies and equipment!